Pyewacket, for those unfamiliar with the legend, is an imp who could take the form of a cat in order to disguise itself. I know it's not much to go on, but it's the perfect amount of information for creating a film around a demonic presence. 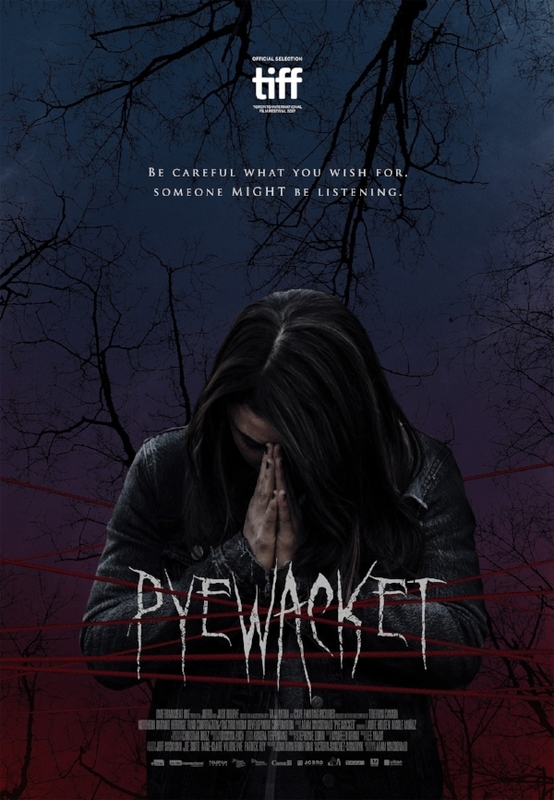 People can't read much into it as nobody knows it's entire story, thus are unable to judge the directors choices regarding what Pyewacket really is or does in regards to the film. I'm going to admit that I was caught completely off guard by this film. Clueless as to what the plot was, who was going to be in it and what type of quality I was to expect. When I noticed Laurie Holden appearing on screen, I was quickly disappointed and figured my choice of reviewing this was a massive mistake. This feeling comes directly from her portrayal of ‘Andrea’ on 'The Walking Dead’, a character who is fantastic in the comic books but ruined in the show. Her performance in that show put a sour taste in my mouth and has ruined most anything else I've seen her perform in. Fortunately, the performance she gave in 'Pyewacket’ was phenomenal as she was able to display a wide array of emotions while bringing a realism to the character I've never personally seen her pull off before. To say the least, her potential is shown off in this film and I couldn't be happier. As for Muñoz performance, it started off a little rocky. I understand she's supposed to display a sense of dismay considering the circumstances of having recently lost her father, but this felt more so like teenage angst more than anything else. This does however change by the midway point of the story. This is when confidence, fear and irrationality are demonstrated in a wonderful and believable way. These performances infused with the dialogue written by Macdonald, create a great story complete with memorable and possibly shocking moments. The conversations from arguments to happiness between the mother and daughter pair is convincingly genuine. Although the horror content is somewhat lacking, this is still a pretty solid film that is entertaining and able to set a creepy tone which lasts throughout the film. If you're looking for loads of blood and gore, this movie isn't for you. If you enjoy a suspenseful, well pieced together story that dabbles in the black arts, this one is for you!